The Devil's Elbow | Snark at the Moon! Tag Archives: Snark at the Moon! Summary: Todd Howard is a Hamilton University freshman with a full athletic scholarship: only Todd has no idea why, since he’s far more interested in veterinary medicine than sports. But his boxing coach, Bobby Finstock, is very familiar with the Howard family secret and he’s hoping he can use it to his advantage. When the whole school (including Todd) finds out that he’s a werewolf with superhuman abilities, Todd’s popularity skyrockets and he becomes the big wolf on campus. But is his fame a gift? Or a curse? Happy SUPER WOLF BLOOD MOON! Holy crap, did I pick a perfect time to post this or what?? Honestly I had no idea slacking off delaying posting due to the holidays and other stresses would mean I would find myself posting a a recap about a werewolf film incidentally on the Wolf Moon (last time it was the Beaver Moon but that was fitting since Scott’s team were the Beavers) and it just happens to be a total lunar eclipse during a “super moon”, and the moon will be “blood red”. THIS CAN’T BE MORE PERFECT IF I EVEN TRIED! AND I DIDN’T TRY! Wing and I are back again, Snarking at the Moon!, with recaps of our favorite werewolf films. You might remember I chose Teen Wolf (1985) as my first outing. 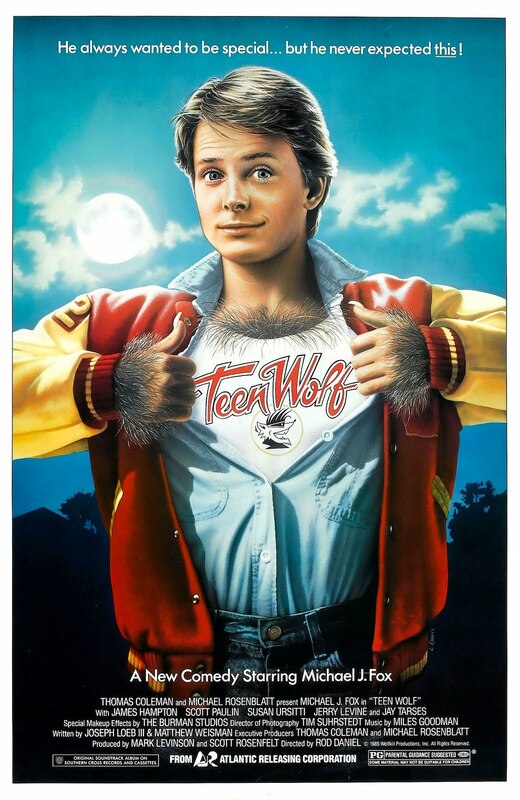 Now we’ve come full circle (sorry, terrible moon puns ahoy) to my favorite sequel, Teen Wolf Too! I’ve already noted that I had a five-second crush on Jason Bateman all because of this film. Where as Michael J. Fox’s Scott was a basketball player, Todd Howard — Scott’s cousin, how convenient, filmmakers — is good at boxing. Well, sort of. At least there will be almost zero basketball playing in this film, after I had to sit through so. much. basketball. during the first film. Never gonna get all that time back. Boxing? BOXING! Which is a lot more fun, because people get to punch each other. Moves a lot faster then stupid sportsball games, that’s for sure. This, like many sequels, was not well received by critics or audiences upon its initial release. I’m not sure it even did well in video rentals, because if I am brutally honest, it’s not that good. But it’s cheesy, has a heart and a good message, and there’s werewolves. So let’s begin! Summary: What’s a high school kid got to do to be popular? Just let down his hair and howl! Starring Michael J. Fox, Teen Wolf is an outrageous comedy about a shy teenager with more than a changing voice to contend with… he’s a budding young werewolf! And when his new-found powers help him score at basketball – and with the popular girls – he has some pretty hairy decisions to make. Tagline: He always wanted to be special – but he never expected like this! Happy Beaver Moon, everyone! This is my half of the initial Snark At the Moon! recaps; Wing published a recap of The Howling on the Full Harvest Moon in October. There’s a reason she gave me the Beaver Moon… and not just because I reside in the Beaver State. 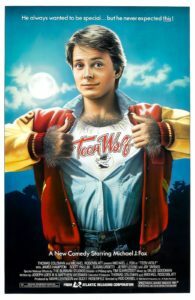 I am not unfamiliar to this film, or its sequel, Teen Wolf, Too. In fact, I am more partial to the cheesy story, bad acting, and over-all shameful antics of the sequel, probably because I had a crush on Jason Bateman for all of five minutes when I was 10. It was the movie character I had eyes for, really; I don’t think I ever watched the sitcom that made him famous back in the day. (Y’know, before Arrested Development revitalized his career.) Anyway. Still, this film would trigger the sequel I’ve spent a lot of time talking about, a Saturday morning cartoon series, and a whole MTV scripted series “reboot” decades after its release (which was a whole other beast, honestly, but one I deeply loved, and I have FEELINGS now that it’s ended.) 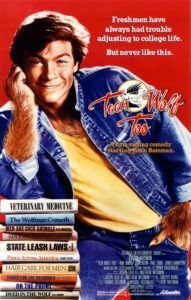 I’m sure it’s safe to say that Teen Wolf is embedded in collective pop culture memory for at least another couple decades. Okay, let’s just get to recapping, shall we.